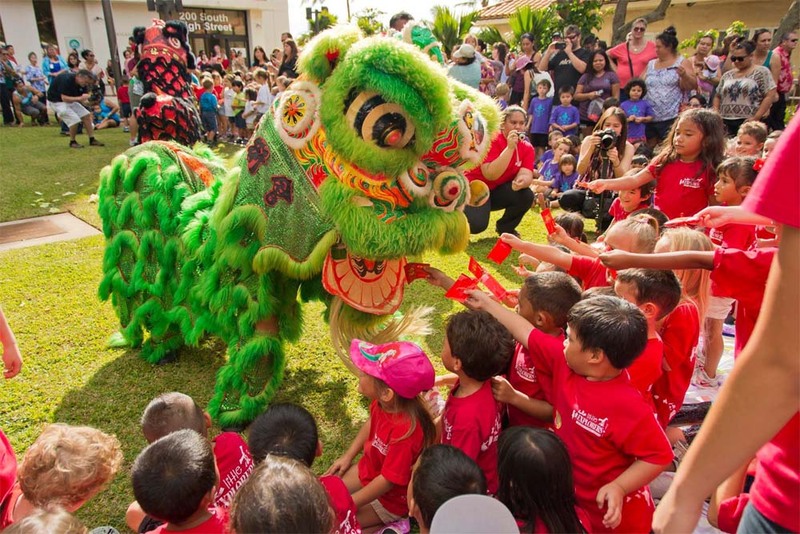 The Wharf Cinema Center celebrates it’s 32nd Annual Chinese New Year at 11:30 a.m. on Wednesday, Feb. 1, 2017. 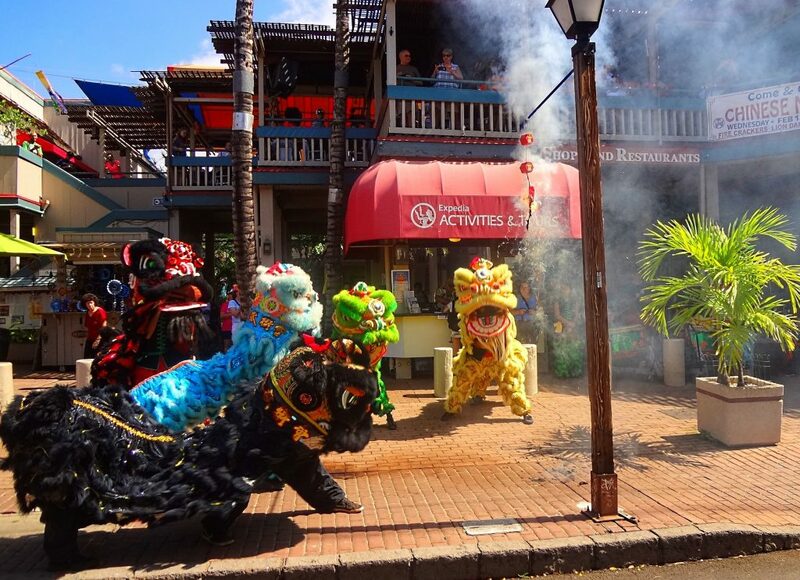 The celebration will be led by Master Ben Seng Au and the Au Shaolin Arts Society as the sleeping lions are awakened upon the arrival of the new Lunar Year, The year of the Rooster. At the Front Street entrance of The Wharf, fireworks will crackle as the celebration begins. 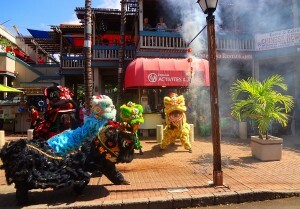 The dancing lions will make their way to Center stage as the drums beat to announce their arrival. The Wharf’s special guests are the Kindergarten students from King Kamehameha III and Sacred Hearts, as well as schoolchildren from Holy Innocents and Kamaʻāina Kids Lahaina. 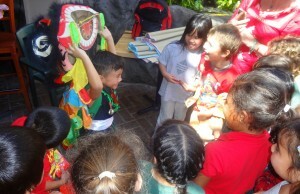 After the playful lions perform, the children feed their Lai See envelopes to the hungry lions for good luck in The year of the Rooster. All are welcome and admission is free. The Wharf Shops and Restaurants are located at 658 Front Street, across from the Famous Banyan Tree in Historic Lahaina Town. The Wharf is open from 9 a.m. to 9:30 p.m. daily.